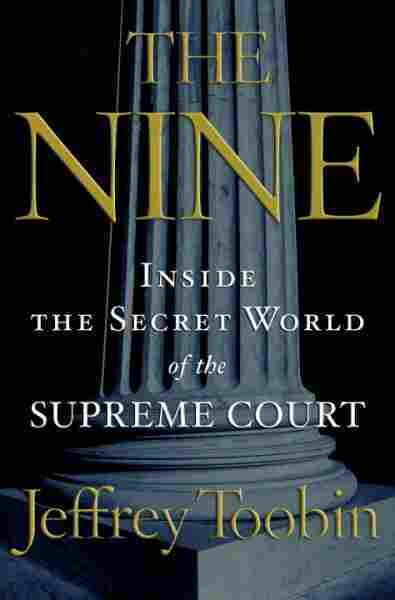 Toobin's 'The Nine' Reveals Politics of High Court With the Supreme Court's opening term only weeks away, author Jeffrey Toobin's new book, The Nine, is bound to make waves. According to NPR's Nina Totenberg, the book's rich detail and well-written narrative sets it apart from the string of latest books about the court. Read an excerpt from Jeffrey Toobin's new book about the politics and personalities of the Supreme Court. 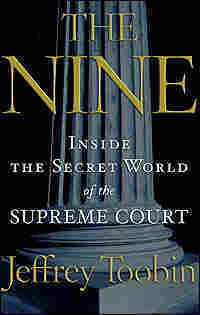 New Yorker staff writer Jeffrey Toobin's The Nine is the latest, and by far the best, in a line of books this year about the Supreme Court. There have been a number of attempts this year. Supreme Conflict, by ABC's Jan Crawford Greenburg, contains a fair amount of good conservative gossip about the nomination of Chief Justice John Roberts and Justice Samuel Alito, but it lacks the balance, substance, and context of Toobin's book. Jeffrey Rosen's book about famous court personalities and rivalries is an interesting history packed into a professorial thesis. And a biography of Justice Clarence Thomas by the Washington Post's Kevin Merida and Michael Fletcher is a credible, but limited, look at the justice. In addition, Thomas himself was paid a reported $1 million to write a book that is slated to come out this fall. If you're interested in the Supreme Court as an institution and as a collection of personalities, though, Toobin's is the book to read. The plot is simple: the decades-long fight by a new and more extreme brand of conservative to take control of the Supreme Court. It is a fight that fails during the '80s and '90s and even in the early 21st century, despite the fact that Republican appointees far outnumbered Democratic appointees on the court. The dénouement of the plot comes in 2005 when Justice Sandra Day O'Connor retires and Chief Justice William Rehnquist dies. Both would be replaced by appointees far more conservative — Roberts as chief justice and Alito as associate justice — men in the new conservative mold. Or, as Toobin puts it, "in the mold of the new Republican Party of George W. Bush." The central thesis, or one might argue, the central disclosure of Toobin's book is his portrayal of Sandra Day O'Connor as increasingly alienated from the Republican Party she loved. Ironically, Toobin tells us, if there was a contemporary politician O'Connor really admired, it was the governor of Texas, George W. Bush — a man whose theme of compassionate conservatism was much like O'Connor's, or so she thought. Instead, says Toobin, O'Connor came to disdain the Bush presidency. It was a transformation that did not happen overnight, but with each step that President Bush took, whether to exert unilateral executive power in the war on terror, or on social issues like abortion, separation of church and state, affirmative action, and gay rights. O'Connor was a healthy 75 years old in June of 2005, in the prime of her judicial influence and self-confidence, when her husband's Alzheimer's took a turn for the worse. She didn't want to leave the Court, but with the ailing Chief Justice Rehnquist telling her he was going to hang on, she felt she had no choice but to step down to avoid a double vacancy in the future. In a cruel twist of fate, Rehnquist died weeks afterward — and O'Connor's husband would not recognize her within a matter of months and would have to be institutionalized. If O'Connor had any hope that her replacement would be a woman of substance or a justice of her general outlook, that hope was dashed with the appointment of Samuel Alito. The appointment, contends Toobin, was an anathema to O'Connor; it was Alito's lower-court opinion on the abortion question that O'Connor had repudiated in the strongest terms in 1992. The Alito opinion approved a law that required women to prove they had notified their husbands before they could have an abortion. To O'Connor, Alito's view was "repugnant." Women, she said, "do not lose their constitutionally protected rights when they marry." His appointment as her successor infuriated her. Most of this is not new to court aficionados, but the rich detail and well-written Toobin narrative is. So, too, are details of the Bush v. Gore case, into which Toobin weaves the personalities of the justices, the rage of conservatives at the actions of the Florida Supreme Court, and the despair of the four dissenters. Indeed, Justice David Souter is portrayed as so upset by the political nature of the final decision that he nearly resigned in protest. In short, this is a good read, a digestible and often fascinating look at the court, its recent history, and what lies ahead. For a long time, during the middle of the twentieth century, it wasn't even clear what it meant to be a judicial conservative. Then, with great suddenness, during the presidency of Ronald Reagan, judges and lawyers on the right found a voice and an agenda. Their goals reflected and reinforced the political goals of the conservative wing of the Republican Party. Earl Warren, who served as chief justice of the United States from 1953 to 1969, exerted a powerful and lasting influence over American law. The former California governor, who was appointed by Dwight D. Eisenhower, put the fight against state-sponsored racism at the heart of his agenda. Starting in 1954, with Brown v. Board of Education, which outlawed segregation in public education, the justices began more than a dozen years of sustained, and usually unanimous, pressure against the forces of official segregation. Within the legal profession in particular, Warren's record on civil rights gave him tremendous moral authority. Warren and his colleagues, especially William J. Brennan Jr., his close friend and strategist, used that capital to push the law in more liberal directions in countless other areas as well. On freedom of speech, on the rights of criminal suspects, on the emerging field of privacy, the Warren Court transformed American law. To be sure, Warren faced opposition, but many of his Court's decisions quickly worked their way into the permanent substructure of American law. New York Times Co. v. Sullivan, which protected newspapers that published controversial speech; Miranda v. Arizona, which established new rules for interrogating criminal suspects; even Griswold v. Connecticut, which announced a right of married people to buy birth control, under the broader heading of privacy — all these cases, along with the Warren Court's many pronouncements on race, became unassailable precedents. Richard M. Nixon won the presidency in part by promising to rein in the liberalism of the Court, but even though he had the good fortune to name four justices in three years, the law itself wound up little changed. Under Warren E. Burger, whom Nixon named to succeed Warren, the Court in some respects became more liberal than ever. It was under Burger that the court approved the use of school busing, expanded free speech well beyond Sullivan, forced Nixon himself to turn over the Watergate tapes, and even, for a time, ended all executions in the United States. Roe v. Wade, the abortion rights decision that still defines judicial liberalism, passed by a 7-2 vote in 1973, with three of the four Nixon nominees (Burger, Lewis F. Powell, and Harry A. Blackmun) in the majority. Only Rehnquist, joined by Byron R. White, appointed by John F. Kennedy, dissented. Through all these years — from the 1950s through the 1970s — the conservatives on the Court like White and Potter Stewart did not differ greatly from their liberal colleagues. The conservatives were less willing to second-guess the work of police officers and to reverse criminal convictions; they were more willing to limit remedies for past racial discrimination; they deferred somewhat more to elected officials about how to organize and run the government. But on the big legal questions, the war was over, and the liberals had won. And their victories went beyond the judgments of the Supreme Court. The Warren Court transformed virtually the entire legal culture, especially law schools. It was not surprising, then, that on the day after Ronald Reagan defeated Jimmy Carter in 1980, Yale Law School went into mourning. On that day, Steven Calabresi's torts professor canceled class to talk about what was happening in the country. The mood in the room was one of bewilderment and hurt. At the end, the teacher asked for a show of hands among the ninety first-year students before him. How many had voted for Carter and how many for Reagan? Only Calabresi and one other student had supported the Republican. The informal poll revealed a larger truth about law schools at the time. Most professors at these institutions were liberal, a fact that reflected changes that had taken place in the profession as a whole. The left-leaning decisions of the Warren and Burger Courts had become a reigning orthodoxy, and support among faculty for such causes as affirmative action and abortion rights was overwhelming. But even law schools were not totally immune from the trends that were pushing the nation's politics to the right, and a small group of students like Calabresi decided to turn these inchoate tendencies into something more enduring. Along with Lee Liberman and David McIntosh, two friends from Yale College who had gone on to law school at the University of Chicago, Calabresi decided to start an organization that would serve as a platform to discuss and advocate conservative ideas in legal thought. They considered several names that would showcase their erudition — "The Ludwig von Mises Society," and "The Alexander Bickel Society" — but they settled on a more elegant choice. They called themselves the Federalist Society, after the early American patriots who fought for the ratification of the Constitution in 1789. Calabresi's guide on the Yale Law School faculty was Professor Robert Bork. Liberman and McIntosh started a Federalist branch at Chicago and recruited as their first faculty adviser a professor named Antonin Scalia. The idea for a conservative legal organization was perfectly timed, and not just because of the Republican ascendancy in electoral politics. In this period, liberalism may have been supreme at law schools, but it was hardly an intellectually dynamic force. In the 1960s, liberal scholars at Yale and elsewhere were writing the law review articles that gave intellectual heft to the decisions of the Warren Court, but by the eighties, the failures of the Carter administration turned many traditional Democrats away from the practical realities of law to a more exotic passion — advocating (or decrying) a movement known as Critical Legal Studies. Drawing heavily on the work of thinkers like the Italian Marxist Antonio Gramsci and the French poststructuralist Jacques Derrida, CLS devotees attacked the idea that law could be a system of neutral principles, or even one that could create a fairer and more just society. Rather, they viewed law mainly as a tool of oppression that the powerful used against the weak. Whatever its ultimate merits, CLS was singularly inconsequential outside the confines of law schools, its nihilism and extremism rendering it largely irrelevant to the work of judges and lawmakers. At law schools, then, the field was largely open for a vigorous conservative insurgency. The young Federalists who started organizing in the early eighties did not merely strive to recapitulate the tactics of their conservative elders. The prior generation, those who waged their decorous battle against the extremes of the Warren Court, preferred "judicial restraint" to "judicial activism." For conservatives like Justices Stewart or John Marshall Harlan II, who were two frequent dissenters from Warren Court decisions, the core idea was that judges should defer to the democratic branches of government and thus resist the temptation to overturn statutes or veto the actions of government officials. But the new generation of conservatives had more audacious goals. Indeed, they did not believe in judicial restraint, and they represented a new kind of judicial activism themselves. They believed that constitutional law had taken some profoundly wrong turns, and they were not shy about demanding that the courts take the lead in restoring the rightful order. With the election of Ronald Reagan, conservative ideas suddenly had important new sponsors in Washington. Reagan was elected on promises of shrinking the federal government, which he proposed to do by cutting the budgets for social programs. Many in the Federalist Society sought a legal route to the same goal. Back in 1905, the Supreme Court had said in Lochner v. New York that a law that set a maximum number of hours for bakers was unconstitutional because it violated the bakers' freedom of contract under the Fourteenth Amendment's protection of "liberty" and "property." By the 1940s, the Roosevelt appointees to the Supreme Court had repudiated the "Lochner era," and for decades no one had seriously suggested that there might be constitutional limits on the scope of the federal government's power. Then, suddenly, in the Reagan years, some conservatives started questioning that wisdom and asserting that much of what the federal government did was unconstitutional. (The second event ever sponsored by the Federalist Society was a speech at Yale in 1982 by Professor Richard Epstein of the University of Chicago Law School in favor of Lochner v. New York.) While Reagan was arguing that Congress should not pass regulations, the Federalists were saying that, under the Constitution, Congress could not. Edwin Meese III, Reagan's attorney general in his second term, provided a framework for the emerging conservative critique of the Warren and Burger era when he called for a "jurisprudence of original intention." The words of the Constitution, he said, meant only what the authors of the document thought they meant. Or, as the leading "originalist," Robert Bork, put it, "The framers' intentions with respect to freedoms are the sole legitimate premise from which constitutional analysis may proceed." According to Bork, the meaning of the words did not evolve over time. This was an unprecedented view of the Constitution in modern times. Even before the Warren Court, most justices thought that the words of the Constitution were to be interpreted in light of a variety of factors, beyond just the intentions of the framers. As the originalists' greatest adversary, William Brennan, observed in 1985, "the genius of the Constitution rests not in any static meaning it might have had in a world that is dead and gone, but in the adaptability of its great principles to cope with current problems and current needs." In large measure, the debate over original intent amounted to a proxy for the legal struggle over legalized abortion. No one argued that the authors of the Constitution intended for their words to prohibit states from regulating a woman's reproductive choices; to Bork and Scalia, that ended the debate over whether the Supreme Court should protect a woman's right to choose. If the framers did not believe that the Constitution protected a woman's right to an abortion, then the Supreme Court should never recognize any such right either. In the Roe decision itself, Harry Blackmun had acknowledged that the words of the Constitution did not compel his decision. "The Constitution does not explicitly mention any right of privacy," Blackmun had written, but the Court had over time "recognized that a right of personal privacy, or a guarantee of certain areas or zones of privacy, does exist under the Constitution." The interpretive leap of Roe was Blackmun's conclusion for the Court that "this right of privacy ... is broad enough to encompass a woman's decision whether or not to terminate her pregnancy." And it was this conclusion above all that the new generation of conservatives in Washington during the Reagan years began trying to persuade the Court to reverse. One of those young lawyers was Samuel A. Alito Jr., who was just six years out of law school when he joined the staff of the Justice Department shortly after Reagan was inaugurated in 1981. Four years later, he was presented with a classic dilemma for a committed legal conservative: how best to persuade the Court to overturn Roe v. Wade — all at once or a little bit at a time? In 1982, Pennsylvania had tightened its restrictions on abortion, including requiring that women be prevented from undergoing the procedure without first hearing a detailed series of announcements about its risks. The Court of Appeals for the Third Circuit had declared most of the new rules unconstitutional — as violations of the right to privacy and the rule of Roe v. Wade. Alito had joined the staff of the solicitor general, the president's chief advocate before the Supreme Court, and he was assigned the job of suggesting how best to attack the Third Circuit's decision and persuade the Supreme Court to preserve the Pennsylvania law. Around that time, over the Reagan administration's objection, a majority of the justices had reaffirmed their support of Roe. The question for Alito was what to do in light of the justices' intransigence. 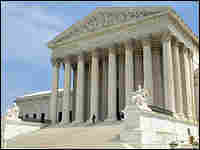 In a memo to his boss on May 30, 1985, Alito wrote, "No one seriously believes that the Court is about to overrule Roe. But the Court's decision to review [the Pennsylvania case] may be a positive sign." He continued, "By taking these cases, the Court may be signaling an inclination to cut back. What can be made of this opportunity to advance the goals of bringing about the eventual overruling of Roe v. Wade and, in the meantime, of mitigating its effects?" Alito wound up recommending an aggressive line of attack against Roe. "We should make clear that we disagree with Roe v. Wade and would welcome the opportunity to brief the issue of whether, and if so to what extent, that decision should be overruled," he wrote; at the same time, the Justice Department should defend the Pennsylvania law as consistent with Roe and the Court's other abortion decisions. The solicitor general filed a brief much in line with what Alito recommended, but the case, Thornburgh v. American College of Obstetricians and Gynecologists, turned out to be a clear defeat for the Reagan administration. In a stinging, almost contemptuous opinion, written by Blackmun, the Court rejected the Pennsylvania law, declaring, "The States are not free, under the guise of protecting maternal health or potential life, to intimidate women into continuing pregnancies." In a plain message to the conservative activists now in charge at the Justice Department, he wrote, "The constitutional principles that led this Court to its decisions in 1973 still provide the compelling reason for recognizing the constitutional dimensions of a woman's right to decide whether to end her pregnancy." Raising the rhetorical stakes, Blackmun went on to quote Earl Warren's words for the Court in Brown v. Board of Education: "It should go without saying that the vitality of these constitutional principles cannot be allowed to yield simply because of disagreement with them." To Blackmun, the war on Roe was morally little different from the "massive resistance" that met the Court's desegregation decisions a generation earlier. But while Roe commanded a majority of seven justices in 1973, the decision in Thornburgh was supported by only a bare majority of five in 1986. So within the Reagan administration, the lesson of the case was obvious — and one that conservatives took to heart. They didn't need better arguments; they just needed new justices. Excerpted from The Nine by Jeffrey Toobin. Copyright © 2007 by Jeffrey Toobin. Excerpted by permission of Doubleday, a division of Random House, Inc. All rights reserved. No part of this excerpt may be reproduced or reprinted without permission in writing from the publisher.